 The Scene Magazine - Page 4534 of 4581 - What's up Toronto? One of Canadas best loved singers, Rita MacNeil will return to the concert stage with her traditional Christmas concert, joined this year by the world famous von Trapp children. The tour starts November 19th in Swift Current, travels to Alberta, New Brunswick, Nova Scotia, Newfoundland, PEI, and then finishes in Ontario, December 19th in London. The program will be a blend of songs, both original and time honoured, sung with the spirit and passion that defines the season. Over the years, Ritas seasonal CDs Now The Bells Ring, Once Upon A Christmas, Joyful Sounds and Late December) have sold in excess of a half a million copies. The von Trapp children, the real great-grandchildren of Maria and Captain von Trapp portrayed in the much loved Sound of Music, have toured the world, sharing the songs and history of their famous family. Recently the children were guests on Oprah when she reunited the original cast from the movie. It was the first time, Sofia, Melanie, Amanda and Justin, had met Julie Andrews and Christopher Plummer who portrayed their great-grandparents. Its an evening of music and memories for the whole family to enjoy – a wonderful way to celebrate the season in song and spirit!